If you are looking for love in rural areas, the internet has you covered. There are a variety of farmer dating websites out there tailored specifically to farmers and those in the country. These sites offer a plethora of features and tips for finding love. 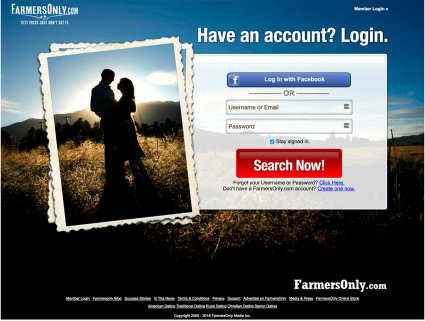 When you think of a farmer dating website, Farmers Only probably comes to mind. This is especially true if you've seen the commercials with ma and pa on the tv. However, is it all it is cracked up to be? The registration process for Farmers Only is exceedingly simple. By answering four questions, including your email, zip code, sexual preference and age, you are on the site. You are prompted to add a picture but this is something you can do later. The site will then give you a user-generated name, and you are ready to search for your love match. 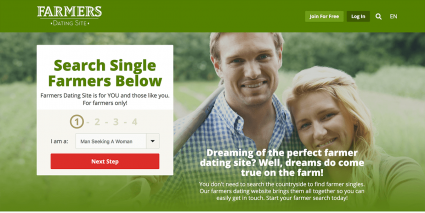 Farmers Only offers an easy-to-understand interface that lacks many of the bells and whistles of other online dating sites. Rather than the hot or not 'swipe' game of apps like Tinder, Farmers Only offers a search that allows you to see an age range, images and location. However, if you hit the discover tab, you can give thumbs up or down to singles near you. And if you spring for the premium account, you are able to see who likes you and who doesn't. You might also use FarmPhone for an additional fee that allows you to text singles you are eyeing. Another fun appeal for this dating site is the fact they offer an app for Android. Your profile offers users the bare bones. You can see your picture, age, preferences and location. Other than that, this site promotes chatting to learn more through talking to one another. While the Farmers Only does offer a free account, it is very limited. If you want to send and receive unlimited emails and post unlimited photos, it will cost you $21.95 a month. Or you can save half and get a 6-month membership at $10.99 a month. Farmers Only offers a quick registration and easy access to finding members in your area. However, it doesn't offer an algorithm for finding people that might match your personality. It is more of a seek and find type site through straightforward parameters like body type, children, smoking, etc. Additionally, compared to other sites, the layout is simple and outdated. However, the search-based matchmaking does lead to more direct engagement with others. It also offers a large dating pool to choose from. If you are on a more intimate quest to find your perfect country match then you can check out Farmers Dating Site. This site is smaller than Farmers Only but offers a plethora of features for members. Like Farmers Only, getting registered takes less than two minutes. You need to enter your age, email address, and username. Voila! You are on the site. Once there, you can check out singles and modify your profile. This site offers a user-intuitive design. You can search for and save members that peak your interest as well as browse photos. 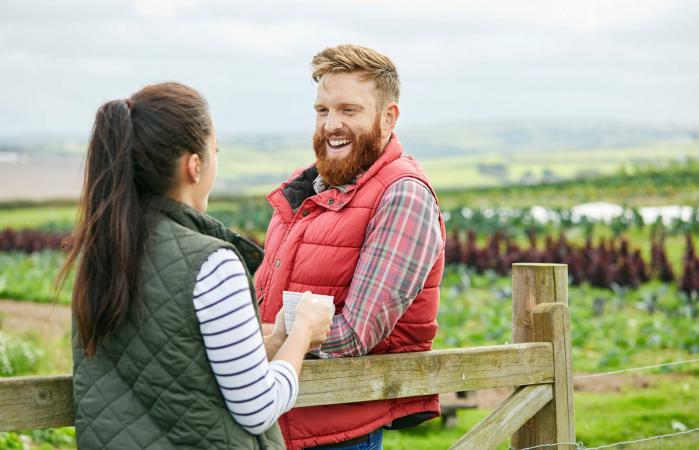 Farmers Dating Site offers rapid match, which is similar to Tinder or Grinder, you click 'like' or 'pass' for nearby singles. Your likes are then saved for you to peruse later. Additionally, the community, which requires a paid membership, has a chat room where you can talk to members online. Another original feature is the little black book and the not interested, which makes it so users can no longer contact you. While this site doesn't have an app, the mobile version is easy to use. Farmers Dating Site gets a little more in-depth in the profile area. Not only do you provide basic information like your gender and language, but it also delves into your appearance, body art, farm experience, personality, and tastes. To send messages, you will need an active membership. This can be done in one-year, three-month or one-month intervals. The one month will cost you $24.99 a month, while the year is only $7.49 a month. Farmers Dating Sites is a user-friendly site without all the bells and whistles of mainstream dating apps. It does offer the essentials like chatting, email, and flirts. However, for the cost, you lack some of the finer points like algorithms to help you find matches with your interests. If you use the free membership, the features you have access to are limited and the lack of an app might turn some users off. You want more than just photos, Farmers Dating allows you to add videos to your profile. You can also fully customize your profile with all your preferences. Registering is a snap. You need to answer three questions: age, email, and preference. Then, you can create a username of your choosing. While Farmer Dating is simplistic, everything is at your fingertips through easy-to-use headers. Not only can you check your email, but browse who's on, search for new people and chat. 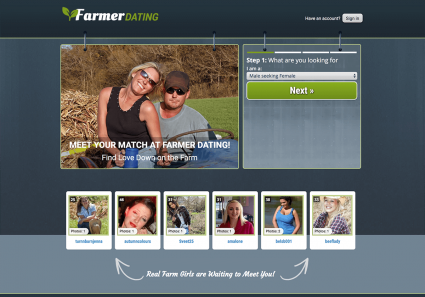 Farmers Dating lets you browse not only by who is near you but by videos as well. The meet feature allows you to say yes or pass on users. It also allows you to find out what users were interested in you. You can organize your lists by who likes you and who you like. While there are some U.S. Members available, this is mostly a Canadian site. Not only can you describe what makes you. . . well you, you can also discuss your farm preferences, appearance, situation, schooling, and who you are looking for. Discussing your personality and what you like to do for fun can make it easier to find the perfect country match. Worried you won't like this site, a 5-day full access trial is available for only a buck. After that, a month will cost you $27.99, but a year is only $6.99 a month. Farmer Dating offers Canadian users' access to several different singles in their area. Additionally, the headers make the functions easy to use and access. However, the lack of a mobile app and the plain interface could be a turn off for some users. Additionally, the free site only really allows you to look at your options. Finding someone with the same values and likes as you in the country can be hard. However, online dating on the farm has gotten a little easier through farmer dating websites. These allow you to find a woman or man with your interests at heart.